We make this video clip by all our love with Vietnam, our homeland. We do hope that the love we shared will spread in the domestic and global communities. An additional Vietnam-lover means one more person will act positively toward Vietnam. The video clip was made by Ministry of Foreign Affairs of Vietnam. 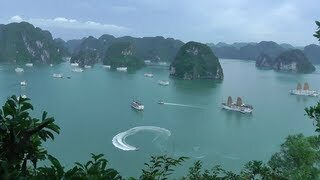 This is official video about Vietnam Tours and Halong Bay Cruises trip. Please take a headphone or turn on your loud to get it.